Not a fan of the Cloverfield “universe”. Not a fan of prequels. Why did I watch this movie? Like many of you, I’m a sucker for anything in space, and the trailer looked awesome https://youtu.be/jrxBaaINseI. I also love the idea of alternate realities. If a show has space and alternate realities you can bet I’ll be watching it. 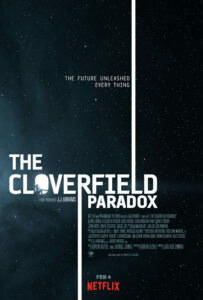 I enjoyed the first Cloverfield movie, primarily for the cinematic effects and suspense. It felt like a SciFi Blair Witch Project. The Cloverfield Paradox had good elements. J.J Abrams must get a lot of control when making movies because his space movies all feel the same. In my opinion, he should have turned this movie down. While Abrams is making Star Wars and Star Trek movies, he shouldn’t be diluting his brand on a clearly B-list movie. The acting overall was good. Gugu Mbatha-Raw did a nice job as the lead. She portrayed the pain of the Hamilton character while balancing the need to get power generated for her original Earth. 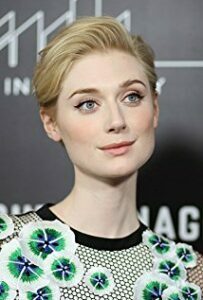 Elizabeth Debicki’s character Jensen had a similar arc where she had to balance the love for her friend with the fate of a world. I felt the torture and conflict while I was watching. The story itself was boring with elements of cheese. The arm operating without a driver and the bulkhead which separated it are elements that could have been left out. It does efficiently answer the question of where the Cloverfield monsters originated. Honestly though, was anyone asking? The Cloverfield Paradox is a movie you watch when there is no other choice. I won’t say it’s the worst movie on Netflix because there are really terrible movies available. I’m saying when you want to watch a decent budget film, and you don’t want to rewatch something good, it’s an adequate choice.